How to update the email I use with Genius Scan? 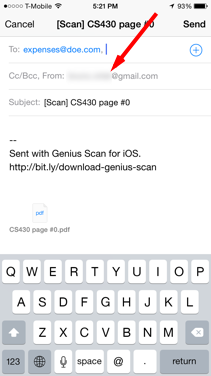 Genius Scan relies on Apple's Mail app to send emails. 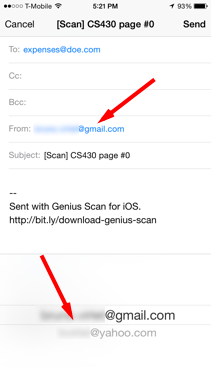 The email you want to send your scans from needs to be configured in the iOS Settings. If you do that, all your emails will be sent from that account by default, and so will the scans you email from Genius Scan. In that case, you will need to setup a new email account as described in Apple's help.